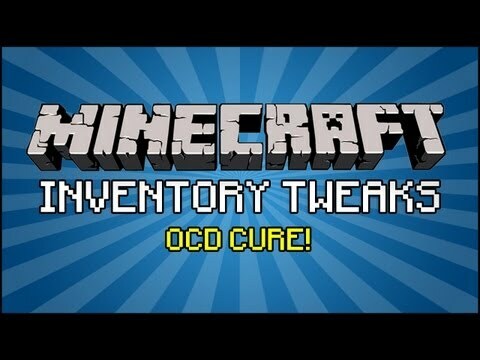 Client Tweaks Mod provides the secrets in order to fix your Minecraft experience. Everything can be enabled or disabled in the configuration file or ingame mod options screen. There are a lot of things disabled by default, so you can make sure to enable the features you want for the best experience possible. 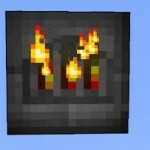 This option will refuse to place a torch if you’re holding a block in your main hand. Because there’s no way you intended to place a torch in that case. Something was just standing in the way of the spot you wanted to place that block in but the torch was fitting since it’s smaller. Fixed it for ya. You know that feeling when you’re tired, try to open the chest but misclicked the block next to it? And of course you still had a torch in your offhand. And of course it placed it. And now you have to break it again. Ugh. This option only allows torches to be placed when your main hand is not empty. This can be enabled additionally to the above. 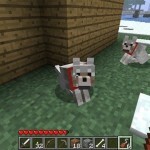 This is the option I consider best, but it changes vanilla behaviour too much to be the default. This will only allow placing torches from the offhand when you’re holding a tool. No more accidental torch placement, ever again. This option will make your own potion effect particles a lot less obtrusive for your client. Other players will see them normally. 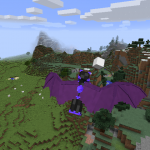 No more annoying particles blocking your view. Yes, the new volume settings screen is cool. 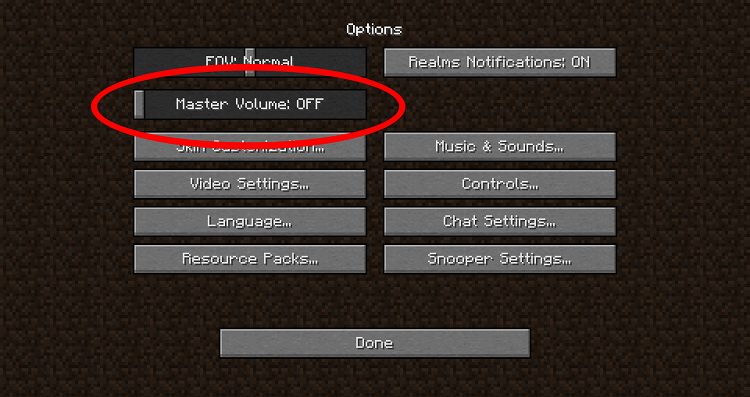 But couldn’t you have kept the Master Volume slider on the main settings screen as well? After years of research I have concluded that you can, so I added it back. Saved you a click. This will strip all underlines (from e.g. links) in chat, because they look way too crammed and cover up other letters. Try clicking the 3d anaglyph button in a big pack. I’ll wait here … okay, now you can thank me for this, especially if you’ve ever accidentally clicked on it . There’s people who hate step assist, me included. But sometimes those step-assist granting items add some other cool perks that we want. So this option lets you disable the step-assist part only. 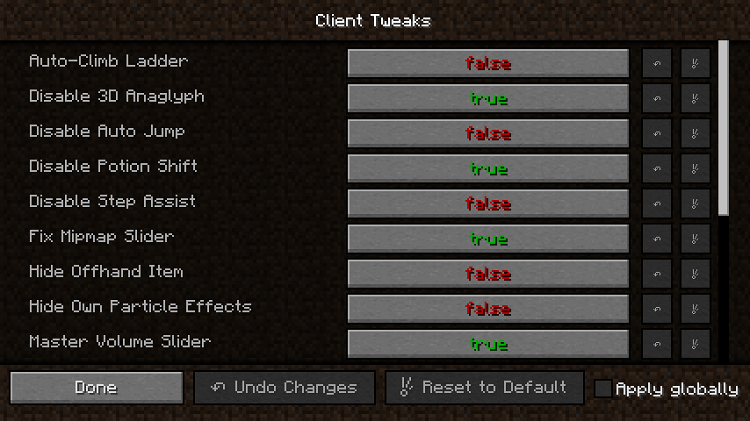 With optional keybind to toggle. Well, what do you think this option does? 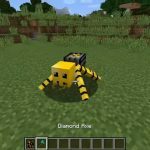 If you make modpacks and want to give your user the choice, I suggest Default Options instead. 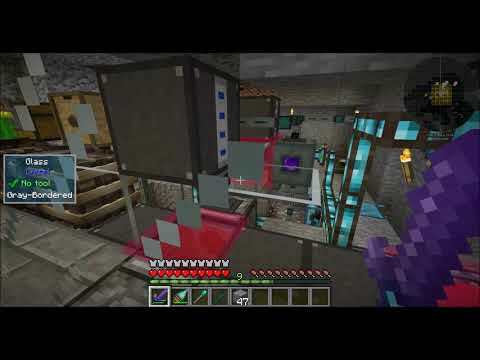 I often make really long ladders down to my mine, and it’s a pain having to hold down a key the whole time while climbing. 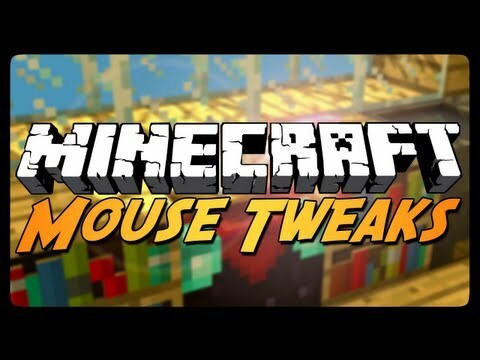 With this tweak on, you will continue to climb upwards as long as you look upwards while on a ladder. That means you can type in chat and do other things without instantly falling back down and losing all of your progress on the long journey back to the top. I don’t know why they made it the way it is but the way it is is terrible. 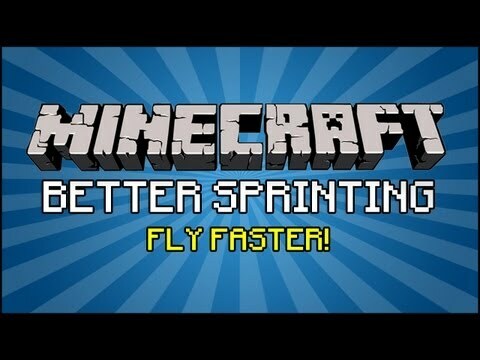 Normally, even just breathing at the mipmap slider would trigger a resource pack reload, freezing your client for minutes. With this tweak active, it will wait until you actually let go of the slider, making it a lot more responsive to your input (since you know, it doesn’t instantly freeze your client). This also adds a confirmation screen, for the clumsy people (definitely not me) who often click things on accident. 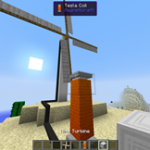 Prevents the inventory from being shifted to the right when potion effects are active. 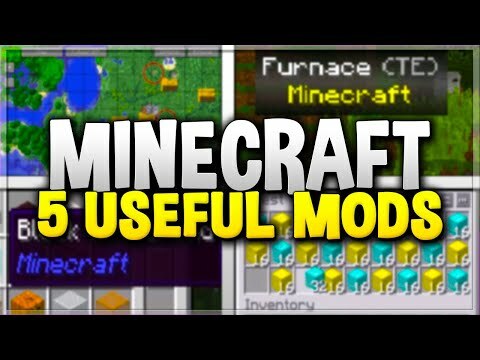 You probably never noticed because NEI did it in 1.7.10 and now Quark does it in 1.10.2 and then there’s also a mod called No Potion Shift that does it, but in case you have none of these, you now have this! Will prevent the item in your offhand from rendering. In case you hate seeing the torch you’re carrying on the left. This one can be toggled by a hotkey too, in case you only hate seeing your offhand item sometimes. 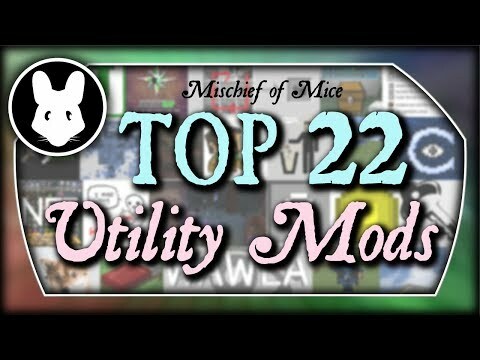 Top 22 utility mods for minecraft by mischief of mice! 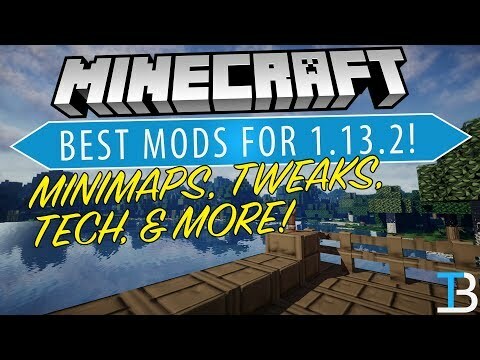 Top 5 best minecraft 1.13.2 mods!